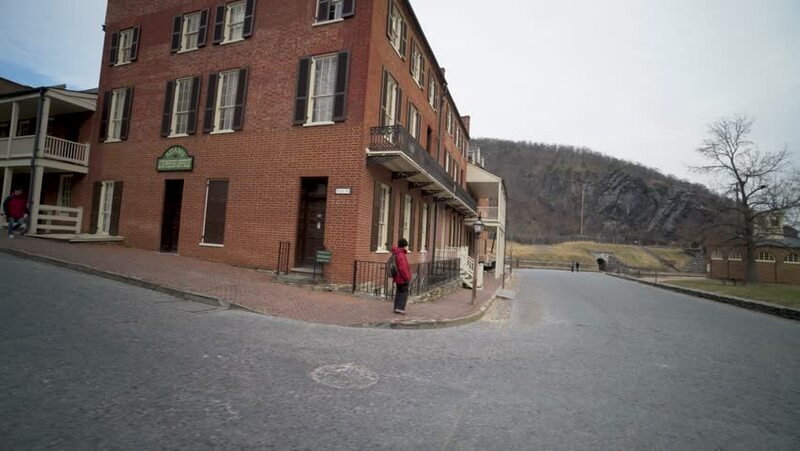 Mature mother and teenage son turn a corner with camera following their motion in Harpers Ferry National Park. 4k00:14Small street in a suburban residential neighborhood in Hamburg, Germany. Establishing shot.